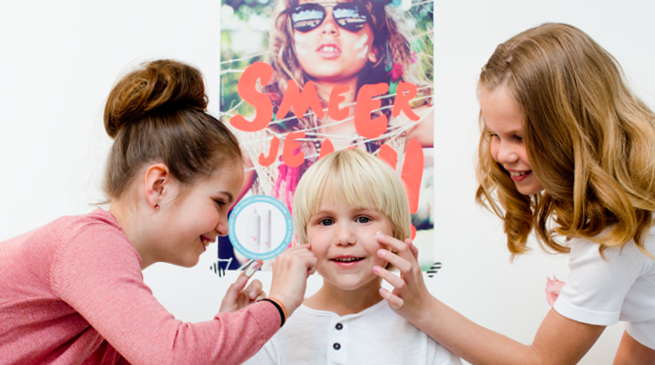 The sun cream Suncover has been developed from Dr. Jetske Ultee’s Sunwiser Society. This product, with effective sun filters and mild ingredients, is non-profit making. It comes in a litre size bottle especially for schools, so that children can play outside safely during break times, lunch times and afterschool. Alongside this, teaching material is available in the form of digi-books, animations and short films, with assistance assistance from some Dutch celebrities. Can I enjoy the sun? Of course. But do it safely: Smeer je in! Fans of 'Smeer je in!